A gear reducer’s function is to decrease the rotational speed of a motor but at the same time increase the produced torque. Reduction helps the motor as the speed may be too much for the gears to handle. Gear reduction helps keep the motor speed within the operating capacities of the gears. Selection. This means the right speed should be achieved to produce the right torque. If more torque is required, then the right speed needs to be achieved. Too much speed though may result in gear failure and this is where gear reducers work their best. This is especially important if the system requires varying speed to torque ratios. Finding the right ratio can easily be done with a gear reducer. Gear Ratio. Gear ratio refers to the measure of the various gear sizes in the gear box. A gear reducer would help in coping with the circumference of the different gears in use. An example would be a gear with a six inch diameter and a gear with a three inch diameter. One full turn of the six-inch gear would mean two full turns of the three-inch gear. This means the gear ratio is 2:1 which essentially allows for twice the torque produced while the speed is cut in half. A gear reducer works by providing two things. First is the freedom to alter the speed of the gears in producing the right amount of torque needed. This is done by determining the gear ratio of the gears in place and lowering the speed of the gear. By lowering the speed, the gear reducer helps in keeping the gears intact without loss of torque. It even increases the torque produced relative to the speed of the gear. 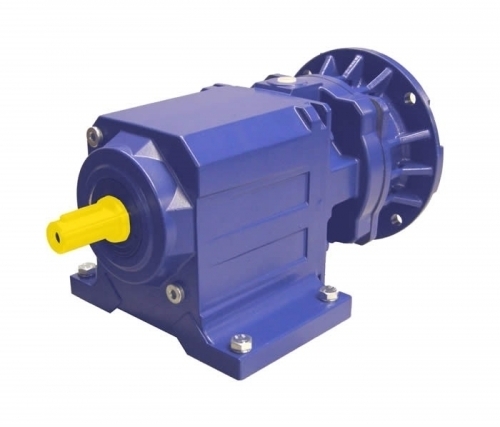 Want to learn more about gear reducers and motors? Call us or visit Bauer GMC today to get expert advice!